Ocean Beach located in San Diego, CA is a throwback to the 50's and 60's. Besides the abundace of houses for sale for all types of buyers, Ocean Beach CA offers a variety of things for residents and tourists to do; it is great for surfing, swimming, bike riding, fishing, and it's simply just a great place to hang out. 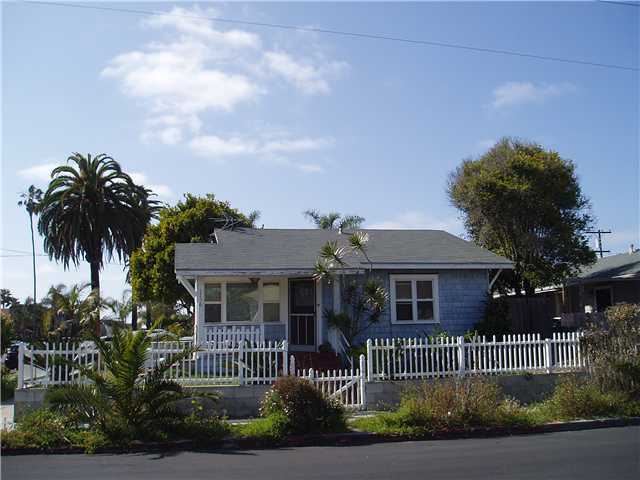 Houses in Ocean Beach range in price from $225,000 up to a few million depending on location and condition. Types of homes that are available include, condos, townhomes, single family detached homes and multi-unit complexes. You can stay at an ocean front beach hotel, rent a house for the week during the summer or shop at all the great retail and antique stores that line the Ocean Beach streets. The Antique District is San Diego's Largest Antique Destination! It is situated just a block from the Pacific Ocean and always has plenty of free parking. Shops are open seven days a week. Here you will find the largest concentration of antique and collectible shops and multi-dealer malls in San Diego County. Across the street from Ocean Beach is the Ocean Beach Municipal Pier which was introduced to San Diegans on July 2, 1966. This pier is one of the few places where people can fish without a California fishing license all year long, 24 hours a day. This is the longest concrete pier on the West Coast which gives one incredible views of the San Diego coast. In fact, the pier extends 1971 feet into the ocean. The city streets are full of some great local restaurants which inlcude Hodad's, Shades Ocean Front Bistro, Ocean Beach Pier Cafe, and the Wave House San Diego. Ocean Beach Has it All!